You Are Here: Home > Which 2018 Toyota Highlander’s Trim Levels Is Right For You? Which 2018 Toyota Highlander Trim Level is Right For You? 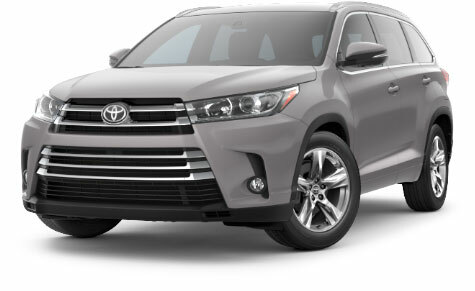 All of the 2018 Toyota Highlander’s trim levels share the same elegant and well-proportioned exterior. The various trim levels do have different exterior features that Tampa area drivers will want to compare. The top-of-the-line Limited trim, for example, has LED daytime running lights that other trims don’t have. These lights make it easier for other vehicles to see your Toyota Highlander in low-visibility conditions. The LE has your basic side-view mirrors. The XLE has mirrors with blind spot indicators. The Limited has lights on the bottom of the mirrors to keep you from stepping out into puddles. Both the LE and XLE trims have stylish standard 18-inch wheels. The premium Limited trim has standard 19-inch wheels for a bolder look that’ll stand out on the road. If you’re looking for a Toyota Highlander, Tampa area dealer Toyota of Tampa Bay has got you covered. Check out the exterior features of the various Toyota Highlander trims at Toyota of Tampa Bay today. Many vehicles from other manufacturers have a base trim that is totally bare bones. This trim is pretty much just there so these unscrupulous manufacturers can claim the vehicle is cheap, even though nobody would actually want that trim. Toyota doesn’t take that approach with any of their vehicles, especially not the Highlander. The LE trim of the Toyota Highlander is still well- equipped. For example, the LE trim (and all of the other Toyota Highlander trims) feature standard split-folding rear seats. These seats allow you to create more cargo space in literally two seconds. If you don’t need additional cargo space, the rear seats can accommodate up to three passengers in comfort and style. Of course, there are some perks for selecting the premium trim levels. The XLE and Limited have 3-zone automatic climate control, while the LE has manual climate control. Heated leather seats are standard on XLE and Limited. The LE has standard cloth seats. Experience the different interiors that the Toyota Highlander has to offer. 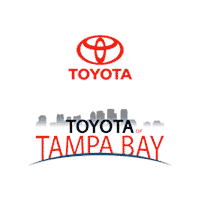 Visit Toyota of Tampa Bay. The Toyota Highlander is a family SUV, so occupant protection is even more important. All trims of the Toyota Highlander have Toyota’s leading package of safety aids. Toyota Safety Sense™ includes Automatic High Beams, Dynamic Radar Cruise Control, a Pre-Collision System with Pedestrian Detection, Lane Departure Alert and Steering Assist. The XLE and Limited trims both have Blind Spot Monitor and Rear Cross-Traffic Alert for enhanced safety. The high-end Limited trim has Rear Parking Assist Sonar to make parking this spacious SUV that much easier. The Toyota Highlander comes with several different performance configurations to suit a wide range of driving styles. The LE trim comes with a standard peppy 2.4L 4-cylinder engine making 185 horsepower. A 6-speed automatic is paired with this engine. The LE trim also offers an optional 3.5L V6 engine kicking out a muscular 295 horsepower. This engine sends the power through an 8-speed automatic transmission. 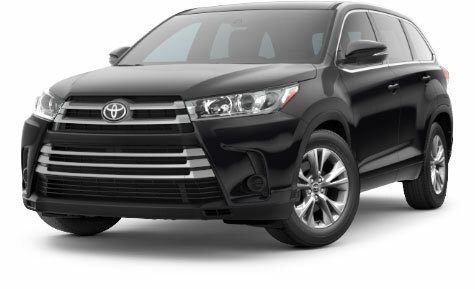 This meaty V6 engine is standard on all of the Toyota Highlander’s other trims. Front wheel drive is standard on all trims. All-wheel drive is also available as an option throughout the Toyota Highlander’s trim levels. All of the Toyota Highlander’s various trim levels are chock-full of tech features. The full range of trims from the LE on up boast Toyota’s proprietary Entune™ infotainment system with a high-resolution touchscreen. The XLE and Limited trims also feature GPS navigation to ensure that you get where you need to go. Music lovers will be happy to hear about the Limited trim’s premium JBL® 12-speaker audio system. This impressive audio system can play music from any genre with power and clarity. If you’re near Brandon, Wesley Chapel or elsewhere in the Tampa area, visit Toyota of Tampa Bay today.